Galway Racecourse is one of the most important sporting facilities in Ireland. With a long history of uninterrupted racing activities, the stunning facility has exceptionally cut itself a prestigious class as not only one of the very best racing amenities in Ireland but also throughout the entire European continent. With many exciting yearly events, it is the ideal place of choice to pass your leisure watching exciting track events and savoring the very best in the world of dining and accommodation. Particularly, the Ladies Days are exquisitely well-planned with wonderful racing festivals and a lot of entertainment at Galway Racecourse. While it is great enough to join the excited crowds of spectators on these auspicious Galway race days, it is even much better to participate in the racing festivals themselves and possibly win yourself a memorable prize. To get involved in the competitions, you should liaise with the official racing planners ahead of time in order to have a proper understanding of all the upcoming events. One of the distinct events that make Galway Racecourse stand out is the fact that it does not have a stringent dressing code like many other racing facilities out there. As long as you are dressed in a smartly casual manner, you have unlimited access to many sections of this globally famed sporting site. Nonetheless, all the attendants are urged to ensure that they are not attired in a provocative way that would render other people uncomfortable. To avoid any last-minute embarrassments, Galway Racecourse management advises you to always dress decently and not to take advantage of the fact that they don’t impose any strict dress code rules. 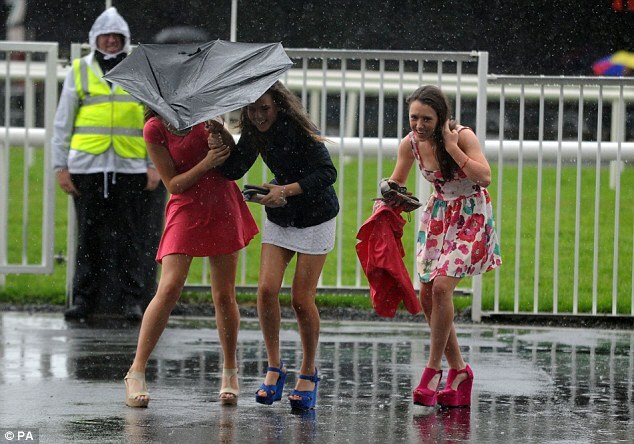 Given that the management has not set any compulsory attire, the most important aspect to think about as you dress to the Galway racing field is the prevailing weather situation. Even for summer racing events, it is still crucial that you wear a jacket or a coat as it can get rather cold at Galway. 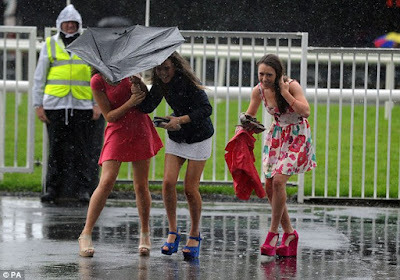 Carrying an umbrella would also be an excellent idea since the racecourse might experience light rains even in summer. For winter racing occasions, go for fashionable hats, boots, and scarves without sacrificing your individual sense of fashion and style. Besides hosting irresistible racing festivals of countrywide and worldwide appeal, Galway Racecourse is not left behind in the vital area of hospitality and catering. Particularly, the racing site and its environs have many wonderful hotels where local punters and sporting sightseers will find the very best in the world of dining and accommodation. Some of the widely noted hotels found around Galway include the well-rated Sea Breeze Lodge B&B, the rave-reviewed Glasan Holiday Village, the popular Sea Mist B&B, the well-furnished and charmingly inviting O’Neill Holiday Homes, and Dominic Street Apartments where any guest will find the best catering and hospitality packages to suit their individually unique needs. Galway is not only widely liked for its outstanding racing fixtures. The corporate and private conferencing facilities at Galway are also one of the very best the world over. For social functions such as wedding and engagement ceremonies, Galway Racecourse is the best place to take your auspicious occasion. Their experienced army of dedicated workers outside the racetrack will partner with you to help you hold an outstandingly memorable corporate or private function successful.